Developed by LightBot Inc., Lightbot is a quirky puzzle game that teaches programming logic through gameplay. Available on the App Store, Google Play Store, and Amazon Appstore, Lightbot was designed with novice coders in mind – players are exposed to concepts like sequencing, overloading, recursive loops, and conditionals through satisfying, touch-based gameplay. I’ve previously written about how much I enjoy Human Resource Machine EDU, another zany programming puzzle game designed to introduce players to computer science fundamentals. Developed by beloved indie studio Tomorrow Corporation, Human Resource Machine EDU tasks players with ‘programming’ little office workers to solve puzzles, thereby automating their boring, stale office job. While the game is designed to teach players the basics of coding, each level features optional Optimization Challenges that test how well a solution is optimized…ideal for programming pros seeking a bigger challenge! Write code. Catch bananas. Save the world. CodeMonkey is a bright and delightful learning game that teaches players how to build their own HTML5 games. 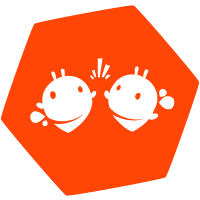 CodeMonkey is supplemented with fully-guided lesson plans, meaning any teacher or parent can teach CodeMonkey to their child – no previous programming experience necessary! Based on principles of automation and chemical bonding, problem-solving puzzler SpaceChem challenges players with producing molecules using chemical pathways similar in style to visual programming. Developed by Zachtronics, SpaceChem was highly praised upon its 2011 release – the perfect programming puzzle challenge for high school-level players and beyond looking for a playful way to practice concepts like in-order execution, branching, and subroutines. We hope you enjoyed reading our computer science learning game recommendations! Did we miss any of your favorite titles? We’d love to hear your selections – sound off over on our Facebook or Twitter!